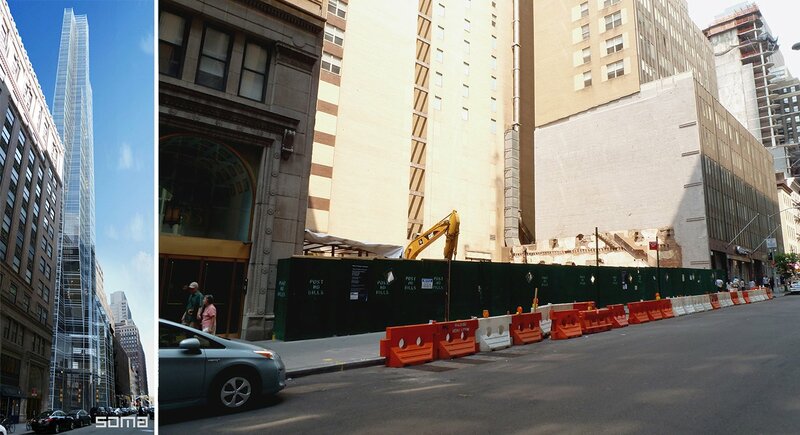 so about 19 Park Place... what happens when they remove the steel braces in the setback void?? Disclaimer: The following assumes that the developer's engineer knows what he is doing, no financial corners were cut, and the DOB wasn't asleep at the switch. The old building didn't prevent the adjacent buildings from falling in. 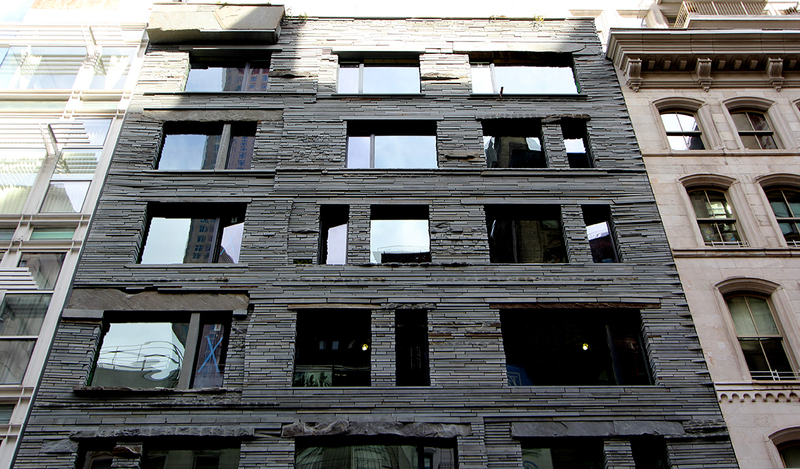 If that were true, demolition would not have been started until bracing [through the old building] was installed. However, the bracing was installed afterward to guard against any shifting in the old foundations caused by excavation. When the hole was dug, any problems should have been addressed when the new foundation was poured. Only this small section of the lot is closed off; there are still parked cars. Looks like explanatory digging - the foundation next door and/or the subway. There's another parking lot on Hudson which I hope will be developed soon. The site of a SOMA Architects-designed Tribeca skyscraper has finally been cleared, signaling that groundwork and construction of the slender 38-story tower may soon be before us. The 12,000-square-foot lot at 45 Park Place owned by El Gamal’s SoHo Properties, was formerly three battered pre-war buildings, two of which were a downtown outpost of Burlington Coat Factory. Not new, but something quite different. Last week, the Internet flared up over murmurs that two Tribeca apartments connected by a skybridge—yes, a skybridge—were on the market. It turns out the listing, held by Kaptan Unugur and Ryan Serhant of Nestseekers, is occurring off-market, so details of the once-every-30-years-or-less listing have been limited to the few Gothamist divulged at the end of last week—that is, until now. 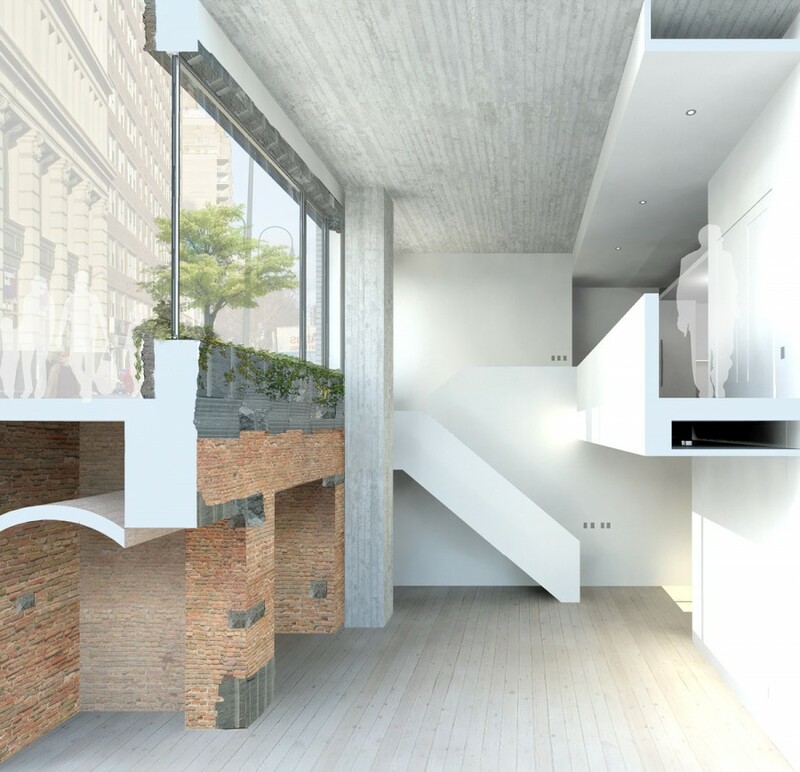 Tribeca Citizen has gleaned a floorplan of the apartment that spans 9 Jay Street and 67 Hudson Street #3AB. Although the listing price of the apartment hasn't been made public, the Post says it's somewhere in the $30 million vicinity. Soho Properties has unveiled the design for 45 Park Place, a condo tower set to rise in Lower Manhattan. 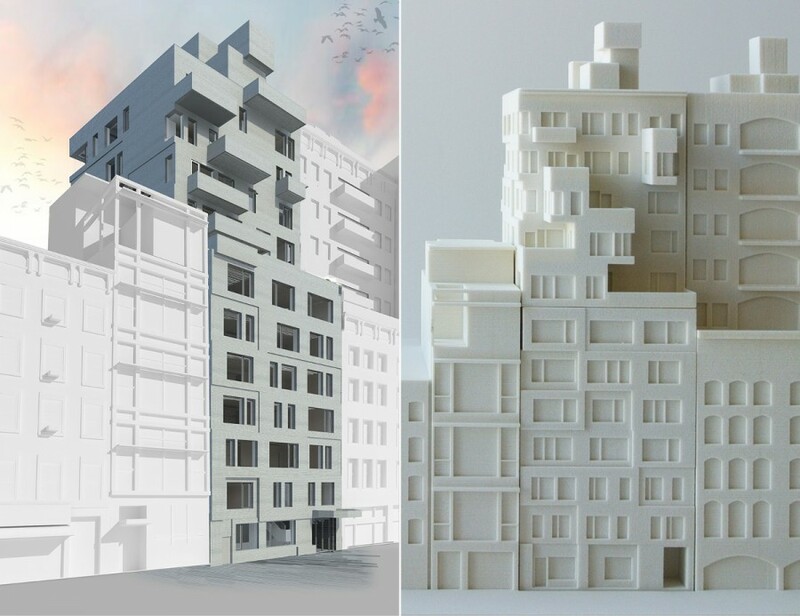 Designed by SOMA Architects, under the direction of designer Michel Abboud, the property will rise 665 feet high and include an as-yet unspecified number of units, though according Soho, it will feature 15 or more full-floor units of 3,200 square feet to 3,700 square feet. The tower’s design reflects collaboration among noted architects. The tower itself was conceived by Abboud, along with Ismael Levya Architects. Italian architect Piero Lissoni is designing the residences, interiors and amenities. Pritzker Prize-winning architect Jean Nouvel is designing the neighboring museum and public green space. “Our mutual goal to build an important new property at the epicenter of Manhattan’s new downtown,”Abboud said. SOMA, headquartered in New York, has designed various projects worldwide, including hotel, condo and mixed-use properties in New York, Dubai, Lebanon and other international markets. 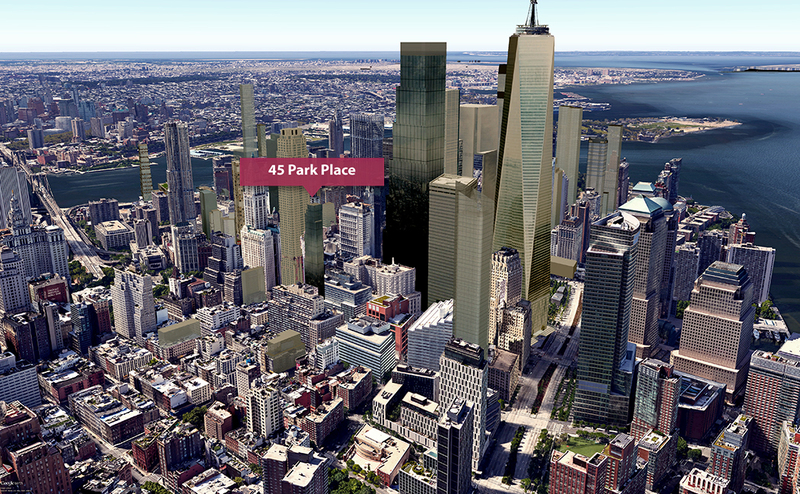 Located at the border of Tribeca and Downtown, the 45 Park Place condos will offer views from all tower exposures. Construction of will begin this year, with delivery for occupancy in 2017; Stribling Marketing Associates will be the sales and marketing agent for the property.